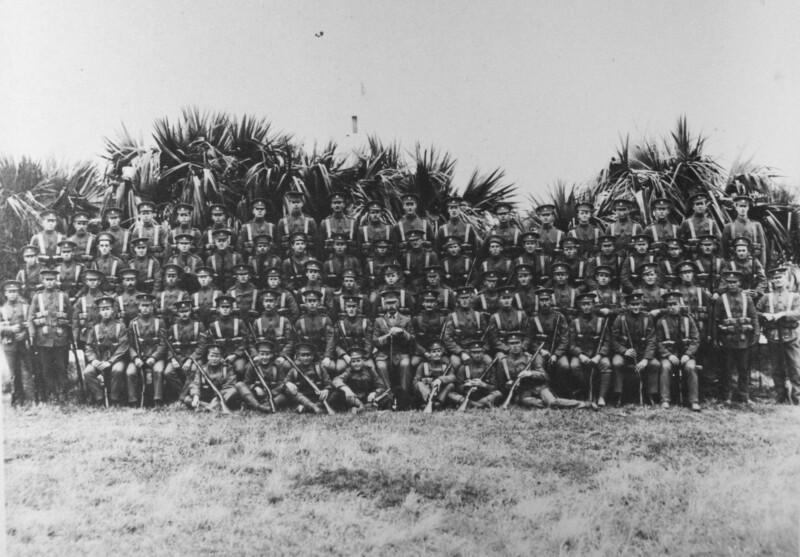 Description: Warwick Camp, Warwick, Bermuda First contingent of the Bermuda Volunteer Rifle Corps to the Lincolnshire Regiment, training at Warwick Camp, in Bermuda, during the winter of 1914-1915. The Contingent was known popularly as Bullock's Boys, after the Governor and Commander-in-Chief of Bermuda, Lieuetenant General Sir George Bullock, who served as its Adjutant while it trained for the Front. This page was last modified on 20 April 2017, at 14:34.